The Bali Hai flyover is getting fixed up in preparation for this month’s international fleet show. PATTAYA – The Bali Hai flyover is getting fixed up in preparation for this month’s international fleet show. 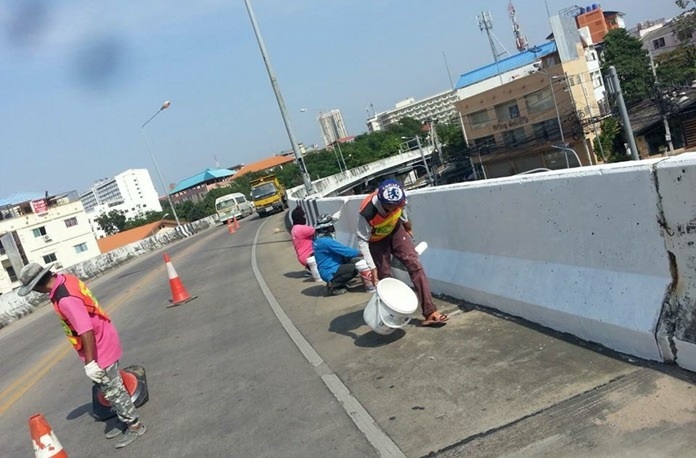 Maintenance chief Puthiset Charoenpoj took a work crew to the South Pattaya bridge Nov. 2 to repair the road surface and structure. Workers spent six days filling potholes and repainting lane lines on the 680-meter span.